One way to gain a little attention in the marketplace? Launch a drone decked out in your brand colors and logo in a busy shopping mall. That’s exactly what Ally Bank did on Oct. 7, the Saturday before National Online Bank Day, which took place the following Monday. The point? The drone delivered free phone chargers to potential customers of the online banking service. It also reinforced the notion that the bank will go to any length to ensure its customers’ financial well being, and that includes, in this case, helping them keep their phones charged. 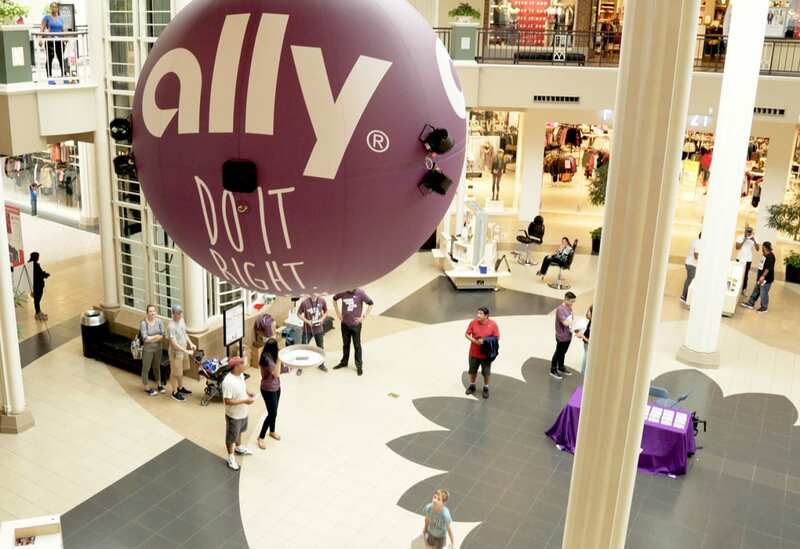 The drone, shaped like a large Ally-branded purple balloon with a basket on the bottom dropped down in front of shoppers in the atrium and food court at Carolina Place Mall, near the bank’s corporate headquarters in Charlotte, N.C. 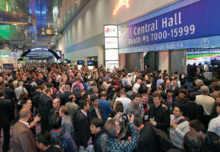 The stunt was one of the ways Ally is hoping to interact with customers using new technologies. The bank is also looking at how to leverage artificial intelligence and virtual reality in its marketing mix. The activation also helped Ally, which was established in 2008 as one of the first digital financial services companies and online-only bank, break through against more established players in the category. “For us, it’s about this idea of how can we be disruptive, how can we outwit, outlast and outplay our competition, and how can we engage our customers in new ways,” says Riley. And a drone is certainly one way to do that. Agency: Prosek Partners, New York City.